Oats Archives - That's... "Such a Crock"
It comes as no surprise that scams are a crock. Still many scams are full of shockers. 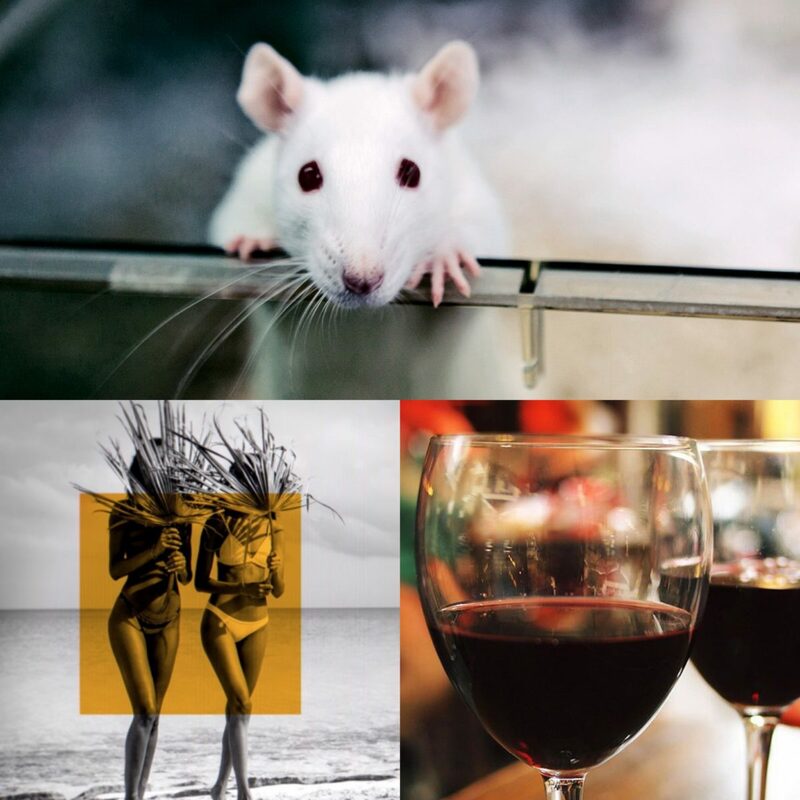 So, Michael and Katherine are psyched to share some especially stunning examples. Michael kicks off the Crockcast with a scam close to the heart – heart health, to be specific. It’s all about oatmeal. 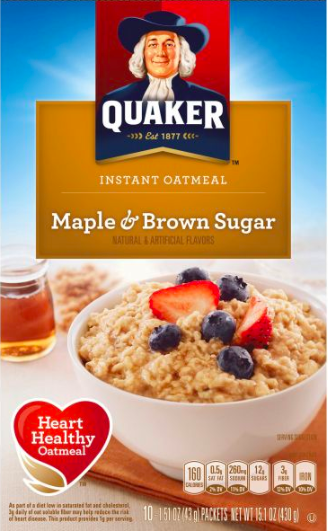 On many oatmeal packages and ads of all kinds, there’s a claim about heart health. But it turns out this claim is really just a scam. Many packaged oatmeals include added sugar and process out much of the fiber present in raw oats. Funny how simply putting oats into packaging adds levels of BS to a formerly innocent product. Sure, packaging adds value to a product. But only in that it enhances the company sales pitch. It can actually decrease the value to the consumer. That’s because packaging often scams consumers with misleading claims. Katherine packs the middle for the podcast this week with a topic that’s twice-the-size. She does double duty with the fascinating story of the ultimate millennial scam, the 2017 Fyre Festival. 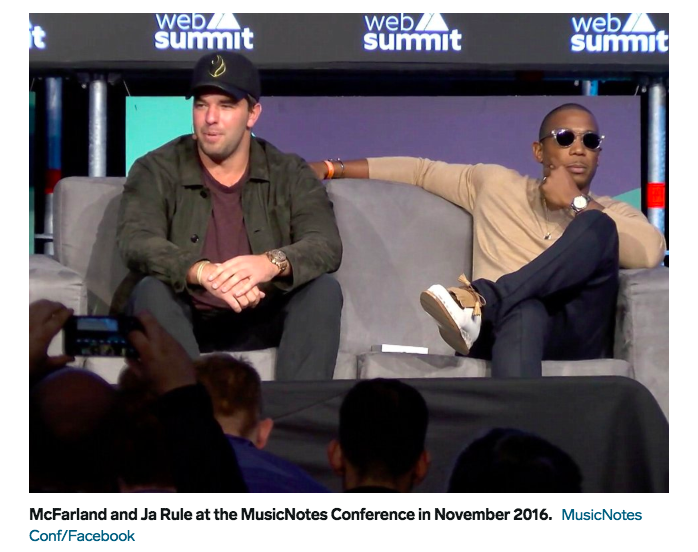 Creators, Billy McFarland and JaRule took about 10,000 millennials for a scam-soaked ride. This video along with instagram posts and tweets from the models inviting fans to join them “at the Fyre Festival” was all it took to sell out the entire event in 48 hours. Impressive salesmanship on the part of Billy McFarland. He was, in fact, a brilliant salesman. Unfortunately, he’s also a bit too fond of booze, delusional lies, and blinding oneself to harsh realities with “positivity”. This video portrays the potential Fyre Festival as a gorgeous, luxurious experience. But the festival reality manifested all these promises on the flip side – the dark side. We’re talking cheese sandwiches instead of sushi and hurricane survival tents rather than the promised villas. Listen to the CrockCast – Scams to hear the rest of this scintillating scam story. Scam New Parents = Child’s Play! New parents are notorious for neurotic tendencies. Blame it on lack of sleep, desperation, or even just the chaos of infancy, but new parents are suckers. They especially fall for products that claim to solve problems. Case in point, the wedge. Click here for a NY Times article all about it. 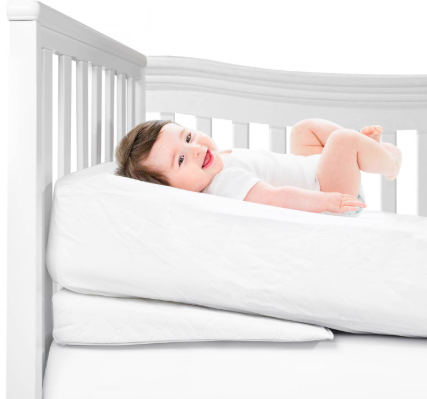 Turns out this piece of foam, often sold to new parents in the hospital when their baby is born and are most vulnerable, is a scam. Hospitals charge up to $150 for these useless wastes of money. Check out the CrockCast this week to hear all about it. Thanks for letting us bring you Such a Crock every Monday of the month! Please help us out by showing your support and sharing the love. Just Subscribe at Such a Crock – Apple Podcasts then follow us on Instagram. Also, our fledgling Twitter can really use a your attention and love. Send us tweets and we’ll tweet back atcha loud and proud! Thank you for all your Crocktastic support. We appreciate and love you mucho!